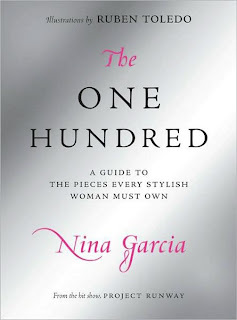 Marie Claire’s newly appointed Fashion director, Nina Garcia also a judge on Project Runway, has a second book coming out, entitled “The One Hundred: A Guide to the Pieces Every Stylish Woman Should Own”. 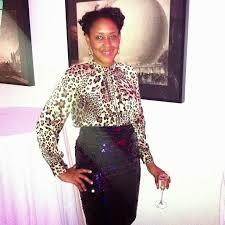 I haven’t read Nina’s first book “Little Black Book of Style” I don’t know why, but I just put it on my to-do list. This book sounds super interesting in that it narrows down basics to building a stylish wardrobe. Nina’s book has me thinking what would make the list and what I do and don’t have. We will have to wait until it hits bookstores on August 26, 2008. I made a small list below. Tell me what part of your one hundred is. 1. A Great Trench- Everyone knows about Burberry but try Gryphon. 2. Dark Denim- Right now, you can get dark denim everywhere. 3. White Cotton Button down- Carolina Herrera makes it look effortless. 4. Diamond Studs- They smell like class unless they are golf ball size. 5. Black pumps- Blahnik is great but go for Sergio Rossi as well. 6. Little black dress- Please don’t do the Breakfast at Tiffany’s shift- Boring. Instead try Leger or Lanvin.